Eberle is a socially responsible employer. 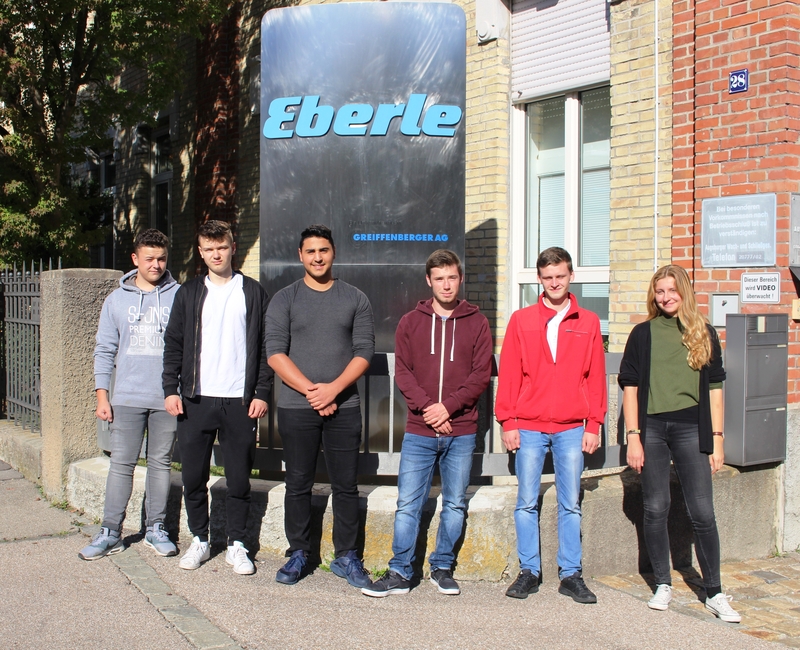 For us not only the successful completion of the trainee program is important but also a smooth integration of the apprentices into the Eberle organisation. We intend to facilitate the step from school to business by offering an integration program. Seven apprentices have started on September 1, 2017. New this year is the apprenticeship program for machine and equipment operator. The first days of the trainee program were used for the optimal integration of the new members of the Eberle family. It started with a warming up game “a scavenger hunt” and a day trip with all trainees. The trainees were fascinated by a falcon show and a visit of a brewery. These mutual activities were perfectly suited to get to know each other and to encourage the growing together. We wish the new trainees every success and a perfect start to their professional careers.